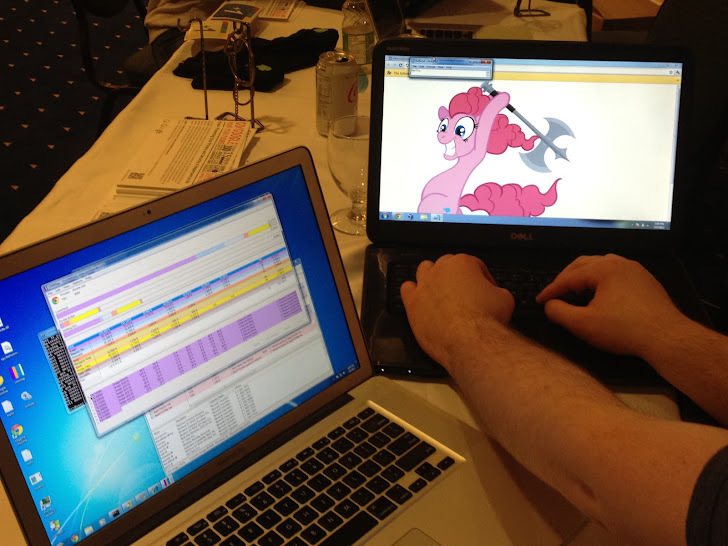 Hacker known as "Pinkie Pie" produced the first Chrome vulnerability at the Hack In the Box conference on Wednesday, just ahead of the deadline for the competition this afternoon. The exploit, if later confirmed by Google’s US headquarters, will have earned the teenage hacker known as Pinkie Pie the top US$60,000 cash reward. In March, Pinkie Pie and Sergey Glazunov both won $60,000 for their exploits at the first Pwnium competition. Google established the Pwnium competition as an alternative to the Pwn2own contest in order to add the requirement that participants provide details of their exploit. Google will give away up to a total of US$2 million during the event. $60,000 - “Full Chrome exploit”: Chrome / Win7 local OS user account persistence using only bugs in Chrome itself. $40,000 - “Partial Chrome exploit”: Chrome / Win7 local OS user account persistence using at least one bug in Chrome itself, plus other bugs. For example, a WebKit bug combined with a Windows sandbox bug. $20,000 - “Consolation reward, Flash / Windows / other”: Chrome / Win7 local OS user account persistence that does not use bugs in Chrome. For example, bugs in one or more of Flash, Windows or a driver. These exploits are not specific to Chrome and will be a threat to users of any web browser.